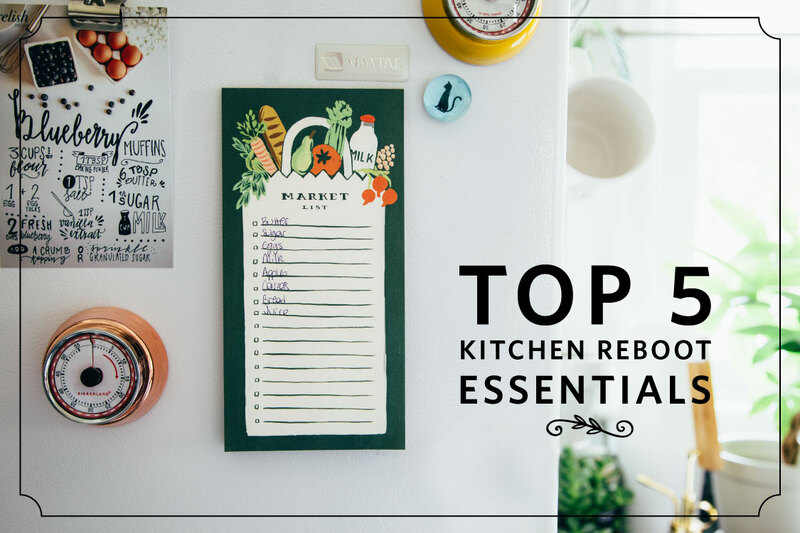 Clean up a cluttered kitchen without sacrificing your style. The holiday decorations have come down, its time to usher in a fresh start for the new year. You learned some lessons while cooking meals for a crowd, what works in your kitchen and what needs to be changed. What better time to reorganize? We’ve done the legwork to find the prettiest and most practical items to help your cleaning journey. From vintage style storage containers to a tongue-in-cheek tote bag, there’s something for every home. Get ready to turn over a new leaf and read on to see our five favorite organizing items.